Many congratulations to the Co. Antrim Ladies on winning the Inter-Club Shield 2018. 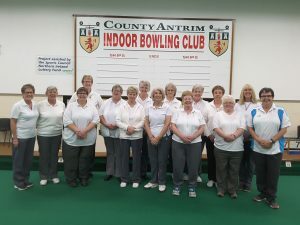 In their first game they travelled to Ballybrakes Community IBC, despite a closely contested game Co. Antrim Ladies emerged winners by 5.5 shots. 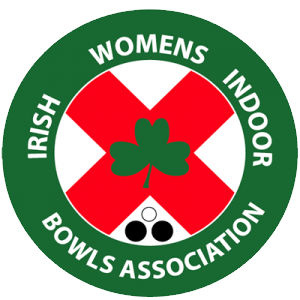 Ballybrakes Community IBC travelled the following day to Belfast IBC Ladies requiring a win to remain in the competition but were beaten by 12 shots, leaving the final game between Co. Antrim Ladies and Belfast Ladies to decide the home of the Inter-Club Shield this year. On 28th October Belfast Ladies travelled to Co. Antrim and although each team had 2 rink wins, Co. Antrim emerged winners with an overall score of 69 shots to 54 claiming the Inter-Club Shield 2018.